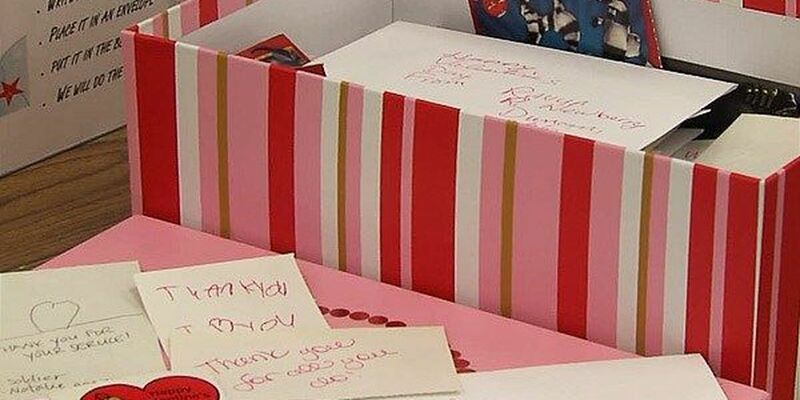 LAWTON, OK (KSWO) -The Lawton Public Library is giving children a chance to wish area soldiers a happy Valentine's Day. Kids can stop by the library to take part in the "send a soldier a valentine" program. The cards, envelopes, stickers and postage are all provided for free by the Friends of the Library. Circulation manager Kathy Hines says they want to remind young children who visit to be thankful for what the U.S. military does to protect the country on a daily basis. "Well, it's very important to us because the soldiers need to feel loved too, and they're out there serving the country and we want to make them feel important," Hines said. Children have until Jan. 29 to stop by and fill out cards. After that, they will be mailed out by the library and delivered to soldiers.